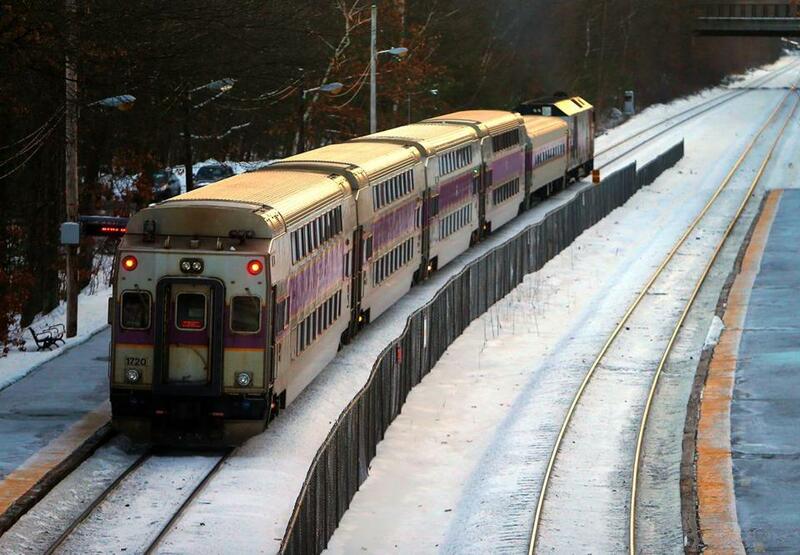 An MBTA commuter rail train drops off passengers at the Wellesley Farms stop. Already off to a rough start to the winter, the MBTA is now facing its most serious challenge since the disastrous storms of 2015, with blizzard-like conditions expected on Thursday, followed by Arctic cold into the weekend. The double-barreled blast will test the $100 million in winter-weather upgrades and operational changes Governor Charlie Baker has made since taking office three years ago, just weeks before the transit system collapsed amid record snowfalls. Since then, Boston has had snowstorms and cold streaks, but nothing like the combination this early winter has brought our way. “It’s really about as bad as you can get with the weather,” said Joseph Aiello, chairman of the board that oversees the Massachusetts Bay Transportation Authority. The T has struggled at times in the face of recent single-digit temperatures, with the holiday week disrupted by disabled trains, broken rail lines, and other track failures that caused long delays and left passengers stranded on frigid platforms. Heavy snow predicted for eastern Massachusetts on Thursday has prompted a change in commuter rail and Amtrak schedules. If it holds, the forecast for the next few days, when a deep freeze could harden snow and cause ice buildups, promises a much more serious threat to the system. “This is a fair test of whether or not we’re ready for a winter like 2015,” said Paul Regan, director of the MBTA Advisory Board, which represents cities and towns served by the transit system. While it’s reasonable to expect some interruptions from poor weather, Regan said, a widespread service collapse would be unacceptable. Transportation Secretary Stephanie Pollack said a combination of falling snow and plummeting temperatures will require the T to pay as much attention to preventative measures as to clearing the tracks. Officials have said that extreme cold can be an even bigger challenge than heavy snow, so clearing moisture from vehicles to keep them from freezing up becomes crucial. Among the $100 million in winter upgrades are several miles of new electrified third rail and track-heating and snow-removal equipment. In addition, new procedures are designed to let the T more quickly address problems. But officials caution that winter weather will always affect service to some degree — meaning the MBTA agency must have plans to quickly respond to problems and communicate with passengers. For example, Pollack said, there were at least 10 instances of rails breaking because of the extreme cold in recent days, but only one affected service: a damaged segment of the Orange Line that forced the T to run shuttle buses on Friday. “Our job is to anticipate it, prevent it where we can, respond quickly, and minimize the disruption,” she said. Communicating delays has always been a challenge for the T. During the cold spell last week, some passengers complained they waited dozens of minutes for trains that electronic notice boards consistently announced were just a few minutes away. On Monday, at the beginning of the second week of low temperatures, the T attempted to preempt such complaints by warning riders to add 20 minutes to their commutes. Indeed, ahead of the storm, the T warned those riders who will venture out Thursday to check its website and social media accounts frequently for schedule changes and updates. Subways will run as planned, but commuter rail lines will operate on reduced schedules to give crews time to clear snow, and some bus trips will be adjusted to specified snow routes. The Ashmont-Mattapan trolley and ferries will not run Thursday. The ferry system was already partially out of service this week because of ice damage at the Hingham dock. James Aloisi, who was state transportation secretary in the Deval Patrick administration, said the T should be commended for its winter upgrades so far.But he added that with a repair backlog of more than $7 billion, winter service will become reliable only after the system is improved year-round. “One hundred million buys you something, but it doesn’t buy you everything,” Aloisi said. For Baker, a Republican entering an election year, the T’s winter performance could have political ramifications, said Steve Koczela, president of MassINC Polling Group. Voters may agree. Last fall, Koczela’s group polled Boston voters about Baker’s approach to the T. The results showed a stark divide and a healthy amount of wait-and-see: 34 percent said they approved, 34 percent disapproved, and a similar number didn’t say either way.